We love the look of fine sapphires in white gold. his is one of the most beautiful rainbow sapphire bracelets we offer. We like the prong setting since nearly all of the beautiful stones are visible. This bracelet is made with 3mm sapphires and the colors truly are bright and vibrant, not pastel. The bracelet has a wonderful balance of all of the colors of the rainbow and we didn't skimp on orange, or red, or some of the other colors that our competitors may leave out of their bracelets. 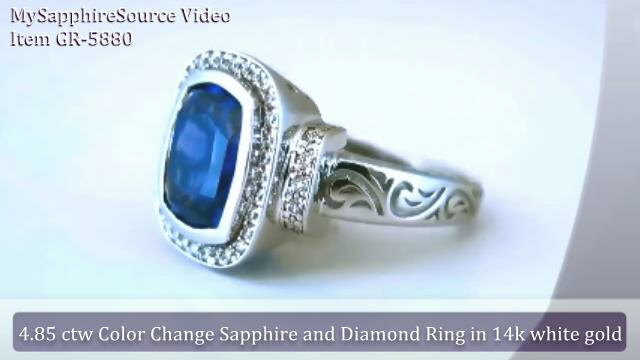 All of our sapphires are of very high quality and are eye clean. The gorgeous layout is simply breathtaking. We think a rainbow sapphire bracelet is that perfect signature piece, one that you will wear and enjoy with almost everything. The high quality of our gemstones is readily evident and we think that you will receive many many compliments. Sapphires are the hardest gemstone and are meant to be worn and enjoyed for a lifetime. Available shipping methods, costs, and transit times are shown in the table below. For privacy, shipping boxes are plain and unmarked.